Have you ever wondered why the diamond on a ring may cost $10,000 or more, yet it has no material utility other than to shine? Or why a teaspoon of salty fish eggs may run $100, even if the majority of people would prefer nothing more than just the cracker on which the eggs are served? Economists use various terms for these peculiarities, but in the end it frequently comes down to societal values. These values are often determined by demand and markets based on consumption and desire. Value is a broad term that is inherently difficult to fully understand, but is driven by a balance of human wants and needs. Readers of North Dakota OUTDOORS are likely outdoor enthusiasts who enjoy fishing and hunting. If you pick apart why we participate in these recreational activities, the word “value” will surface. But due to history, backgrounds, income and so on, we “value” our resources differently. For example, while some people are willing to pay a lot of money for a North Dakota bighorn sheep auction license, many others are not willing to hunt prairie dogs even though no license is needed. After a long winter of snow and cold, the value of fishing in spring for northern pike that have moved into shallow water, some anglers would argue, is high. In simple dollars and cents, tracking value is doable as defined metrics that are often used. According to a 2012 North Dakota State University economic study, on average, resident anglers spent $178 per day of fishing. Cumulatively, fishing in North Dakota generates considerable money, as the annual gross business volume of fishing totals $885 million. That’s a lot of money by any standard, and it is obvious that a high percentage of North Dakotans participate in fishing and spend a lot of money doing it. Interestingly, this same study also assessed how much anglers value fishing. Survey respondents were asked to place a monetary value on a single day spent fishing. According to the study, these values do not imply spending levels, but rather indicated a measure of the importance for the participant of time spent fishing in the state. The average North Dakota angler valued a day of fishing in our state at $178. Of real interest was that these were independent determinations, one asking how much they did spend fishing, the other asking how much they valued fishing (in dollars), and both groups came up with the same sum of $178 per day. The value of fishing is far more than just about money. Societal shifts over time often change the significance of value. For example, there was time in human development where availability of fresh water was not an issue for inhabitants, but they did expend a lot of time procuring salt. Fast forward to today, and we often witness on many levels shortages of fresh water, but seldom give any thought to how to find salt. Changes over time have also influenced angler interests and how individuals value fishing. If you go back 35 years, the North American (including Lake Sakakawea, North Dakotas’ largest walleye fishery) average harvest rate for walleye (hours fished per walleye harvested) was 8.5. Today, on average, it takes less than 3 hours to harvest a North Dakota walleye. (Incidentally, the average angler will harvest 25 walleyes over the course of the year with fillets valued at nearly $500). If fishing/catching would revert to one walleye every 8.5 hours of fishing, its highly likely many anglers would no longer fish. Today’s anglers still value fishing, but it needs to include “catching” far more frequently than what was the norm a generation or two ago. Another change in the value system is the desire from some anglers to conserve large fish (especially walleye, and to a lesser degree, northern pike). It’s hard to argue that walleye fishing on North Dakota’s Big Three – Lake Sakakawea, Devils Lake and Lake Oahe/Missouri River – isn’t better today than it was decades ago. And despite respectable walleye harvest during that time, our fishing regulations have remained the same. Yet, the opinion of some anglers to conserve large walleye has changed. Often nowadays when anglers legally harvest a number of large walleye and take them to a fish cleaning station, they are met with disapproval by fellow anglers. If the same event would have occurred 20-30 years ago, they would have been met with high-fives and backslaps. Even without good supporting biological rational, it’s obvious that some people value conserving large fish today more than yesteryear. The evolving thought process of anglers has also shifted in recent years in terms of wanting to protect the intrinsic value of fish. When it comes to game fish, this has been most apparent with northern pike. Many anglers enjoy catching pike, but lose interest when handling the fish. The value of fishing, be it from shore, in a boat, on waters large and small in North Dakota, is far more than just about money. Unfortunately, there is a small minority in the fishing community who consider all species other than walleye as trash fish, pike included. These individuals will even catch, keep and dispose of these pike in the weeds, cattails and elsewhere. This wanton waste of a valuable resource is looked upon poorly by a growing number of the angling public and these unwanted actions surely devalue the significance of fishing. To that end, anglers should treat fish, whether kept or released, with care. The Game and Fish Department has some information resources on proper fish handling techniques on its website that all anglers should review. The worth of a walleye, pike, bass or other species is more than simple table fare, and all should be treated with respect. Some argue that simply fishing in North Dakota, if not undervalued, is often underappreciated. Considering the bargain cost of a fishing license ($16 for an annual individual license), year-round angling opportunities and fewer fishing regulations than most states, fishing in North Dakota is truly a bargain. Again, the value of fishing to the North Dakota angler varies dramatically, depending on the perspective of the 160,000 residents who fish. Many anglers define the value of fishing by the number of hours or days on the water, while others value targeting big fish, or filling the livewell. Then there are those who simply value the smile on a kid’s face when the bobber dips below the surface. No matter the motivation, most anglers generally value what North Dakota has to offer when it comes to fishing. This entry was posted in Fishing Information on April 11, 2018 by ronniegarrison. Now is the Golden Time for Fall Fishing in Wyoming According to the WGFD. 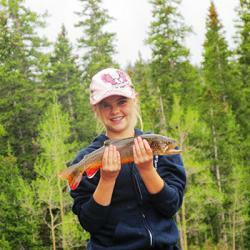 Cheyenne – October is the golden month for fall fishing. The fish are active, and the Wyoming Game and Fish Department fish managers around the state agree it’s the best time to get outside with your rod. Brown trout spawn in autumn so expect good action. A trip to the North Platte never disappoints, and there is plenty of public access. The Miracle Mile, Cardwell, Gray Reef and Saratoga reaches of the North Platte are all Blue Ribbon waters, holding more than 600 pounds of trout per mile. Anglers can expect to catch fish on streamers, nymphs and dry flies this time of year. The Miracle Mile is especially popular with fall anglers since October is when large brown trout from Pathfinder Reservoir begin moving into the river. Brown trout seekers who visit the Salt River near Jackson will be rewarded with strong populations through December or January. The Salt River runs almost entirely on private land, but there are numerous public access areas for fishing. The Green and New Fork rivers are good options, too, that offer plenty of fishing access. Dry flies such as grasshoppers are still working during the day. Some smaller North Platte tributaries near Laramie will also be rewarding. Laramie Regional Fisheries Supervisor Bobby Compton recommends visiting Big Creek, Brush Creek, Douglas Creek, French Creek, or the lower Encampment River. And, as usual, the Laramie Plains lakes will be hopping as temperatures cool. Good fishing is predicted at Meeboer, Gelatt Lake, Twin Buttes and Lake Hattie. Wheatland No. 3 is also expected to be hot again this season. At Hattie and Wheatland 3, anglers should watch for fall-spawning rainbow trout populations that swim close to the shore. Rainbows are also flourishing and growing large in Boysen Reservoir this year. Game and Fish is stocking almost double the amount than in year’s past, and people have noticed an increase in quality and numbers. For an all-around good trout experience, the North Tongue River, Middle Fork Powder River and Sand Creek are northern destinations not to be missed. Also, the Green River below Fontenelle Dam will have plenty of rainbow, Snake River cutthroat and Bear River cutthroat trout eagerly feeding on nymphs, San Juan worms and minnow patterns. The Finger Lakes near Pinedale are a good destination for lake trout — try Fremont, Boulder, Halfmoon and New Fork. Lake trout will move into the shallows starting in October as the nights dip into the 30s. Soda Lake continues to fish well and will be open to fishing until Nov. 14. Healthy looking browns and brook trout over 16 inches are common. Anglers who target warm-water species should plan to head to waters around Sheridan, Casper and Lander. Healy Reservoir, near Buffalo, is a great destination for bass, with some largemouths over 20 inches and 5 pounds. Keyhole, in the northeast, has good water levels and the summer treated the fish well. Casper and Lander area waters should hold active walleye thanks to higher-than-normal flows from good snowpacks around the state. Hahn also points walleye-seekers to Pathfinder and recommends casting large swimbaits to the shore, especially in the upper end of the lake. Farther west, Boysen Reservoir cleared in the late summer and Craig Amadio, the Lander regional fisheries supervisor, has heard excellent reports from the field. “Walleye fishing is the best it’s been in a long time, and I expect that to be the case this fall. Walleye in Boysen are feeding on bigger fish now — perch and rainbow trout. 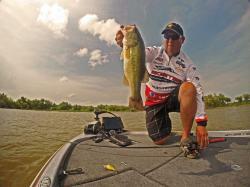 A lot of anglers will troll open water using crankbaits and planer boards,” Amadio said. October isn’t too late for an adventure. Many alpine lakes offer quality golden trout and cutthroat trout if you’re prepared to fish in the snow. Higher elevations are known for storms as early as September. Thumb Lake and Atlantic Lake are a couple good golden trout waters, and the Wind River Range has goldens in the Sweeney Lakes and Hobbs Lake. Chasing tiger trout is an option for anglers wanting to reel in something different; visit Upper Silas Lake, Willow Park Reservoir and Cow Lake. An added bonus of fall fishing is the solitude. Many avid sportsmen and women have exchanged rods for rifles by October. For those looking for a peaceful angling trip, visit Grayrocks and Hawk Springs in the southeast for walleye, crappie and bass. Boysen is also expected to be less crowded as hunters head afield. Robb Keith, Green River fisheries supervisor, reminds anglers that the Hams Fork River downstream of Kemmerer City Reservoir is home to a variety of trout species and has public access through a Game and Fish fishing easement along the river in a stretch of private land below the reservoir. Bring your streamers as the fall progresses, dry flies and grasshoppers won’t do here. If elbow room and aggressively feeding fish sound like a good combo, the Shoshone River below Buffalo Bill Dam should be on the list. Between Buffalo Bill Dam and Willwood Dam there are 2,500 trout per mile and relatively good access for both wading and floating. Big Horn Lake and the Bighorn River will also be less crowded and the sauger big and active — the biggest tipping 5 to 6 pounds, with an average of 2 to 4 pounds. Sam Hochhalter, Cody regional fisheries supervisor, recommends everything from jigs and crankbaits to night crawlers and live minnows to bring in a big one. This entry was posted in Fishing Information, Where To Fish on November 26, 2017 by ronniegarrison. Today’s feature comes to us from the Florida Fish & Wildlife Commission. If you fish for panfish and haven’t tried grass shrimp yet, then you need to know: You’re missing out! Freshwater grass shrimp are an excellent bait for all species of sunfish, come free and are usually easy to collect. There are a variety of species of grass shrimp, and as the name implies grass shrimp are usually associated with vegetation. They reach about two inches in size. But all you need to know as an angler is that grass shrimp catch fish! Although used primarily as a panfish bait, few freshwater fish will turn their nose up at a grass shrimp including bass up to several pounds. So how do you get this great bait? In most lakes, it’s fairly easy. You’ll need a sturdy-framed, long-handled dip net with a mesh size of 1/4″ or so. A larger mesh will let shrimp escape, while a finer mesh will become clogged with vegetation and silt and not drain well. Any kind of reinforcement of the net bag around the frame is a major plus, because this net will really be “beating the bushes.” Bait and tackle shops sell a variety of nets that will work, but if you have trouble finding an ideal net, this certainly won’t prevent you from catching shrimp. As long as the mesh size is about right, almost any dip net should work at least moderately well. Next, you’ll need a lake or canal with some vegetation in it. Emergent shoreline grass is ideal, but any shoreline vegetation that you can readily run your net through should produce results. “Beat” the net through the vegetation in several consecutive sweeps through the same spot, pushing the vegetation down as you sweep (the vegetation usually pops back up unharmed). Then plop the net on the ground and pick through the vegetation accumulated in the bottom of the net bag for your tiny quarry. The shrimp go into a standard small bait bucket or “minnow bucket” with latching lid, available at most bait and tackle shops. Two versions of these plastic buckets are available, one just the standard bucket and the other a ventilated bucket that rests inside a larger bucket. The ventilated bucket design makes water changes easy—just pull it out of the main bucket, let the water drain, and then submerge it in the lake to refill it before placing it back in the main bucket. You can also leave such a bucket in the water, but some of the grass shrimp you catch will be small enough to work their way out of the holes—ditto for draining the bucket if the day’s catch of shrimp is running small. Grass shrimp are a hardy bait, and only an occasional water change is needed to keep them healthy as long as they are kept cool and out of the sun. Because of both the small size of a sunfish’s mouth and the diminutive size of the grass shrimp, use a #8 or #10 Aberdeen hook when fishing shrimp for sunfish. Hook the bait through the bend in the tail. Keep your bobber equally small; it takes almost no flotation at all to suspend a grass shrimp. One-inch, cylindrical foam bobbers work well. These also put up little resistance when a wary sunfish takes the bait; it will be more likely to hang onto the shrimp rather than dropping it. Position the bobber about three feet above the hook for starters, but adjust for a deeper presentation if you don’t get any bites pretty quickly. Use a tiny split shot to sink the shrimp to the desired depth. Of course, grass shrimp can also be fished on the bottom—where the bigger bluegill and redear sunfish often congregate. (A general rule when going after bream is to fish deeper if all you are catching are small ones.) Use only enough weight to cast your bait where you want to place it, and keep it there—that’s usually just a couple of split shot or at most a 1/8 ounce egg sinker set a foot or so ahead of the bait. Set the hook as soon as you feel a bite—fish will swallow grass shrimp without hesitation, so there’s no need to delay when the strike comes. So there you have it. Grass shrimp may not always work better than live worms or crickets, but they do nearly always work at least as well. And they’re as fun to catch as they are to fish—give them a try! This entry was posted in fishing basics, Fishing Information on May 4, 2017 by ronniegarrison. What Does the Ike Foundation Have To Do With Fishing? Even though Michael Iaconelli’s recent week at the Bassmaster Classic® on Lake Hartwell kept him tightly focused on a winning fishing strategy – the Yamaha Pro finished 6th – he still found time to spend several hours each evening working on The Ike Foundation, a new non-profit organization devoted to getting more young people involved in the sport of fishing. Literally years in the planning, Iaconelli and his wife Becky announced the formation of The Ike Foundation in January, and thus far, response from both the fishing industry as well as the public, has been overwhelmingly positive. Yamaha Marine Group was among the first to become involved, and is working with Iaconelli to coordinate upcoming activities. “To get started, Becky telephoned dozens of different organizations and asked them their greatest need, and the biggest problem was simply a lack of fishing equipment, basic items like rods, reels, and lures, for kids to use,” says Iaconelli. “Yamaha provided a collection site in their booth at the Classic Outdoor Show, and we were thrilled at how much equipment, as well as financial support, visitors donated. The Yamaha Pro is supplementing public donations with his own rods and reels, accumulated during his 16-year professional career. He’s hoping other tournament pros who have also accumulated a garage full of tackle throughout their careers will also donate to The Ike Foundation. www.theikefoundation.org. Registration forms for clubs and organizations that want to become involved with the foundation are also available on this website. “It’s exciting to finally get this started,” says Iaconelli. “It’s something Becky and I have been thinking about and planning for the past 10 years, and it’s very personal to me, because I grew up just outside Philadelphia, in an area where not a lot of kids fished. I was very fortunate to have parents and relatives that got me involved. One way the Yamaha Pro plans to spread awareness of the foundation is through a 13-part fishing program named ‘Going Ike’ he will begin filming after the conclusion of this year’s Bassmaster® Elite season. At each filming location, Iaconelli wants to connect with different youth fishing clubs to help them become involved in the sport. ‘Going Ike’ will initially be broadcast digitally because he can reach such a wide audience, and will start airing during the first quarter of 2016. Iaconelli began to recognize the lack of youth fishing activity while filming his former television program, “City Limits,” which concentrated on identifying fishing opportunities in urban areas across the nation. At practically every location, he remembers, kids stopped by to watch in amazement; most had never held a fishing rod and had no idea fish of any species were even present where he was filming. “It didn’t matter where we were filming,” emphasizes the Yamaha Pro. “The kids were really interested, but they’d never had the opportunity or the equipment to try fishing for themselves, even though it was so accessible. We want to help give them that opportunity with The Ike Foundation, and the easiest way to start is by getting them fishing tackle. 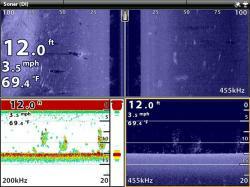 This entry was posted in Fishing Information on March 30, 2015 by ronniegarrison. What Are Otiliths and How Do Biologists Use Them To Determine Ages of Fish? Ever wonder how biologists figure out how old a fish is and how fast it’s growing? Here’s how they do it, from the Florida Fish & Wildlife Commission. 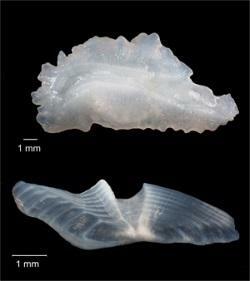 Pictured is an otolith from a largemouth bass. The bottom is the cross-section, revealing the rings of this 8-year-old fish. Age is one of the most important pieces of data researchers collect about both freshwater and saltwater fish. Biologists use bones in the inner ear of the fish called otoliths, or ear stones, to determine how old an individual fish is. These bones have rings very much like a tree trunk, and every year environmental triggers cause a new ring to form. Biologists remove the otoliths from the fish and count the rings. There are several things researchers can gather from this information. Size at age: Size at age graphs are created by comparing a fish’s age to its length. This tells researchers how fast the fish are growing and at what age they become big enough to catch. The information from size at age can be used by management officials as part of the decision making process on length limits and to evaluate the quality of the food sources and habitat in a water body. Year Classes: Researchers can also use age data to follow groups of fish born each year called, year classes. For example, biologists observed large year classes of bass following drawdowns on lakes Toho and Kissimmee. These fish went on to produce many trophy bass and biologists were able to document long-term improvements resulting from management practices. Mortality: Biologists can estimate the rate that fish die from the number of individuals collected from each year class. 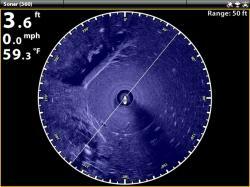 This is used to predict how many fish will be available to anglers in future years. Largemouth bass can reach 16 years old in Florida. After about 8 pounds, some say you can guess the age at about a year per pound. This is nothing more than a good guess though, as FWRI biologists have seen 10 pounders that range from just 4 to 14 years old. Black crappie can make it to 10 but rarely make it past 6 years old. The same goes for most of the bream, like bluegill and shellcracker. This entry was posted in Conservation, Fishing Information on January 8, 2015 by ronniegarrison. Should Anglers Keep Some of the Fish They Catch? Editor’s Note: In many states, it’s been a long, uphill battle to convince anglers to release fish so that more can reach larger sizes. But in certain types of habitat-smaller waters with average low temperatures and minimal food production-the only way to get more big fish is to harvest lots of small fish, thus leaving more food for the survivors. Utah is currently working towards this type of a solution for many of their waters. Here’s the story, from the UDWR. SALT LAKE CITY – Biologists hope rule changes approved by the Utah Wildlife Board will encourage anglers to keep more fish in Utah. Keeping the fish you catch – up to your legal limit – is the key to providing fish with the food they need to grow. To encourage anglers to keep more fish, the Wildlife Board recently approved several rule changes for the 2015 season. The changes take effect Jan. 1, 2015. You can see all of the changes the board approved in the 2015 Utah Fishing Guidebook. The free guidebook should be available online by early November. Members of the board hope eliminating the ‘home’ possession limit-the number of fish an angler can have in his or her freezer at home-will help anglers develop a new ‘mindset’ that encourages them to keep more fish. DWR biologists originally recommended that the possession limit be eliminated for every fish in Utah except salmonoids-trout, kokanee salmon, whitefish and grayling. The board, however, eliminated the home possession limit for every fish species in the state. A creel survey, which measures the number of fish anglers keep, was completed at Willard Bay Reservoir in 2011. A similar survey will wrap up at Starvation Reservoir this fall. The DWR will conduct creel surveys at both waters in 2015. Results of the earlier surveys will then be compared with results of the 2015 surveys to see if eliminating the possession limit made a difference in the number of fish anglers kept. The board also approved a DWR recommendation to eliminate the daily yellow perch limit at Fish Lake. Cushing says reducing the number of yellow perch will increase the amount of zooplankton available for other species to eat, including kokanee salmon that biologists want to introduce to the lake. A self-sustaining population of kokanee salmon would provide an excellent food source for lake trout in the lake. The idea to eliminate the yellow perch limit originated with an advisory group of anglers assembled by the DWR. The board also approved a recommendation to increase the daily brook trout limit at Oak Creek Reservoir, one of 80 lakes and reservoirs on the Boulder Mountains in southern Utah. Starting Jan. 1, the limit at Oak Creek will increase from four brook trout a day to 16 brook trout a day. Another change on the Boulder Mountains involves placing limits on each of the mountain’s 80 lakes and reservoirs. Currently, lakes and reservoirs are grouped together, based on where on the mountain they’re located. Then, a limit is applied to every lake or reservoir in the group. “Listing each water that has a limit that’s different from the general statewide limit, and what the limit is for that specific water, will eliminate a lot of confusion among anglers regarding what the limit is at each water,” Cushing says. An advisory group of anglers who enjoy fishing on the Boulder Mountains helped the DWR draft the proposal the board approved. This entry was posted in Conservation, Fishing Information on November 5, 2014 by ronniegarrison.